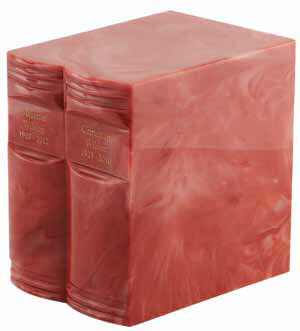 These exquisite marble books urns are available in seven different colors. 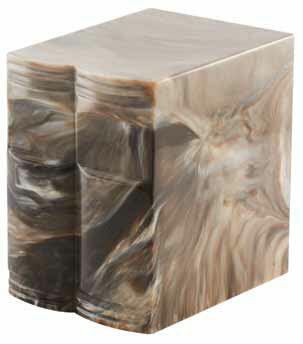 Hand crafted in the U.S. using the same cultured materials found in high-end cultured marble and quartz countertops. The process involves mixing resins and ground marble to produce and magnificent memorial that is less fragile than real marble and will last forever. Easily engraved and can usually ship within 24 hours. TSA approved for air travel. 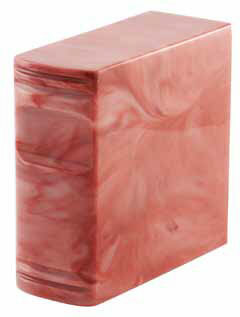 Color: Seven colors to choose from - There may be variations in color and veining. Just as with natural stone, colors of cultured marble can vary slightly from those shown. Filling: Urn is accessed from the bottom. Personalization: Engraving is available for an additional fee. Please click on the Detailed Images to view available engraving fonts. 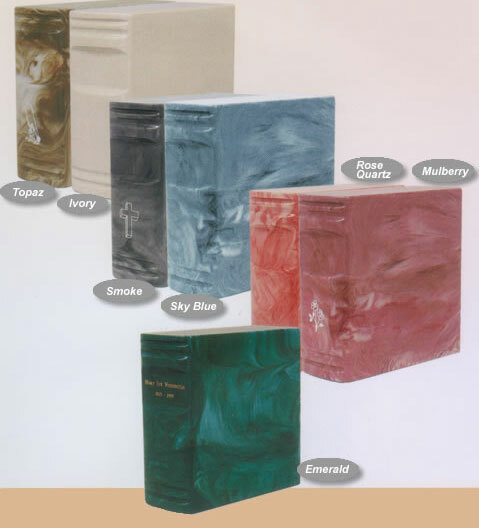 There is limited space available for engraving on the spine of the book urn so please limit engraving to no more than about 25 spaces per line. The more engraving per line, the smaller the font will be. Urn usually ships same business day if order is placed by 3 PM Eastern Time. Ships from Western United States.